HEAVEN AND EARTH will pass away! (1 Peter 21:33) (Mark 13:31) (2 Peter 3:10). Do not be deceived: This heaven and earth has a “shelf life” (Acts 17:26)! Although God “laid the foundations of the earth, that it should not be removed for ever” (Psalm 104:5); this heaven and earth is not a space of everlasting habitations (Matthew 24:35) (Mark 13:31) (Luke 21:33) (2 Peter 3:10). “Of old hast thou laid the foundation of the earth: and the heavens are the work of thy hands. They shall perish, but thou shalt endure: yea, all of them shall wax old like a garment; as a vesture shalt thou change them, and they shall be changed. But thou art the same, and thy years shall have no end” (Psalm 102:25-27). “Before the mountains were brought forth, or ever thou hadst formed the earth and the world, even from everlasting to everlasting, thou art God” (Psalm 90:2). 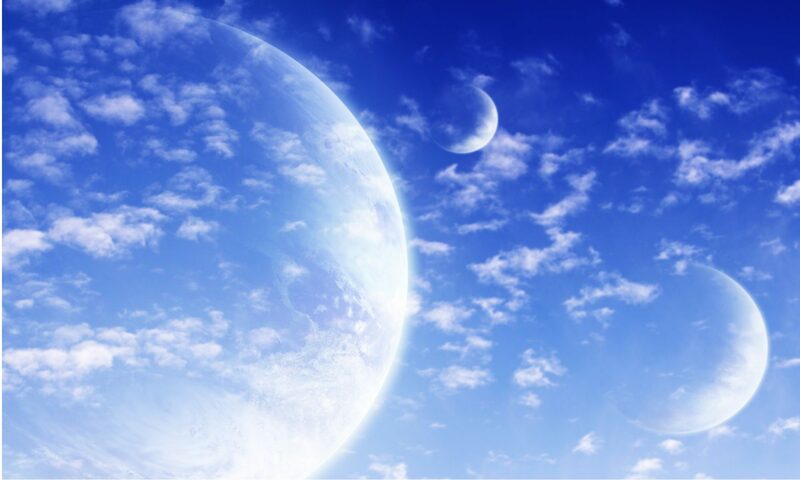 NEW HEAVENS AND A NEW EARTH (Isaiah 65:17) (2 Peter 3:13) (Revelation 21:1). “For, behold, I create new heavens and a new earth: and the former shall not be remembered, nor come into mind. Be ye glad and rejoice forever in that which I create” (Isaiah 65:17-18). Jesus was very clear when he told his disciples, saying: “In my Father’s house are many mansions: if it were not so, I would have told you. I go to prepare a place for you. And if I go and prepare a place for you, I will come again, and receive you unto myself; that where I am, there ye may be also” (John 14:2-3). There is another planet Earth in the heavens but, it is not visible. “[AND I SAW A GREAT WHITE THRONE, AND HIM THAT SAT ON IT, FROM WHOSE FACE THE EARTH AND THE HEAVEN FLED AWAY; AND THERE WAS FOUND NO PLACE FOR THEM]” (Revelation 20:11). “And I saw a [NEW HEAVEN AND A NEW EARTH]: for the first heaven and the first earth were passed away; and there was no more sea. And I John saw the holy city, [NEW JERUSALEM], coming down from God out of heaven, prepared as a bride adorned for her husband. And I heard a great voice out of heaven saying, Behold, the tabernacle of God is with men, and he will dwell with them, and they shall be his people, and God himself shall be with them, and be their God” (Revelation 21:1-3). Previous PostPrevious END OF DAYS = END OF YEARS before the END OF THE WORLD. Next PostNext PARADISE OF GOD is in H E A V E N (Psalm 46:4, 87:3) (Hebrews 12:22–24) (Revelation 2:7, 22:1-6).